Nolan Ryan is a Hall of Fame Pitcher who played for the Houston Astros & Texas Rangers. Known both for his fastball and as a role model for players and fans alike, he is considered to be one of the best pitchers of all time. Ryan struck out a record 5,714 batters and had 61 shutouts over a career that spanned from 1966 through 1993. Ryan’s career saw 324 games won and 292 games lost. 1973 marked the beginning of what would later become a baseball legend when Ryan set an MLB record of 383 strikeouts for a single season. PFP Sports & Celebrity Talent Agency is a top booking agent for motivational sports speakers and celebrities. 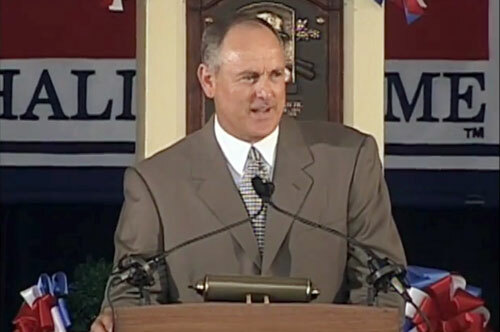 If you would like to book MLB stars like Nolan Ryan for a speaking engagement, personal appearance or special event, you can request Nolan Ryan agent and speaker information from PFP Sports & Celebrity Talent or call 800.966.1380.